CORTLAND, N.Y. -- Buffalo Bills fans cringe every time they read or hear how good Jim Leonhard has been since their team gave up on him. The overachieving safety, who made a pair of interceptions Saturday morning at New York Jets training camp, has turned into a captivating NFL defender. His biggest fan is Jets head coach Rex Ryan, who was Leonhard's defensive coordinator with the Baltimore Ravens last year and targeted him as a must-have free agent. "Jim Leonhard, I tell you, he disguises coverages about as well as almost anybody outside of Ed Reed in this league," Ryan said when asked of the two interceptions thrown by Kellen Clemens, who otherwise had a phenomenal morning. "We were playing a Cover 2 over there, all the way behind the numbers. So there's no way he's going to get to the middle of the field. And sure enough, by the time he sees the route come open, there's Leonhard." Leonhard is listed at 5-foot-8 and 186 pounds. He's entering his fifth NFL season even though a tryout would have surprised most who knew him back home in Ladysmith, Wisc. Ryan said Leonhard's appearance is more like "an accountant or something like that" than a football player. "He doesn't pass the look test," Ryan said. The best college scholarship Leonhard received was for a Division II school, and that's because they wanted him to play baseball. Leonhard walked on at Wisconsin and became a campus legend with scintillating punt returns and defensive play, eventually earning a scholarship. He wasn't drafted. The Bills signed him in April 2005, waived him before the 2006 season, re-signed him a couple weeks later and then didn't bring him back when his contract expired after 2007. Leonhard hooked up with the Ravens and, after Dawan Landry suffered a scary spinal injury, started 13 regular-season and three playoff games for a team that came one game away from the Super Bowl. Leonhard finished fourth in tackles with 85. He had one sack and one interception. In the playoffs, he had a half sack, an interception, a forced fumble and two fumble recoveries. The Bills drafted Donte Whitner sixth overall in 2006. Buffalo's other safeties are George Wilson, Ko Simpson, Bryan Scott and rookie Jairus Byrd, a second-round pick. "I don't hold a grudge against what they did," Leonhard told me when he signed with the Jets. "The harsh reality is that this is a business as much as it is about football. They decided to go a different way, which happens year in and year out with players." 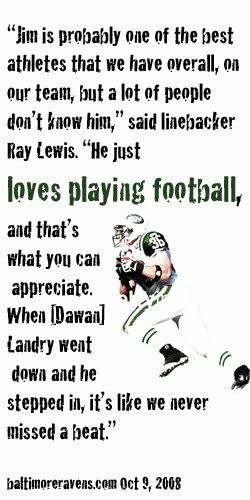 But he did say he was looking forward to playing Buffalo twice a year, but especially the first time Oct. 18 at the Meadowlands. They'll also play in primetime Dec. 3 in Toronto. "I'm looking forward to that day, and hopefully we can make it a day that I'll remember for a long time." Leonhard said.